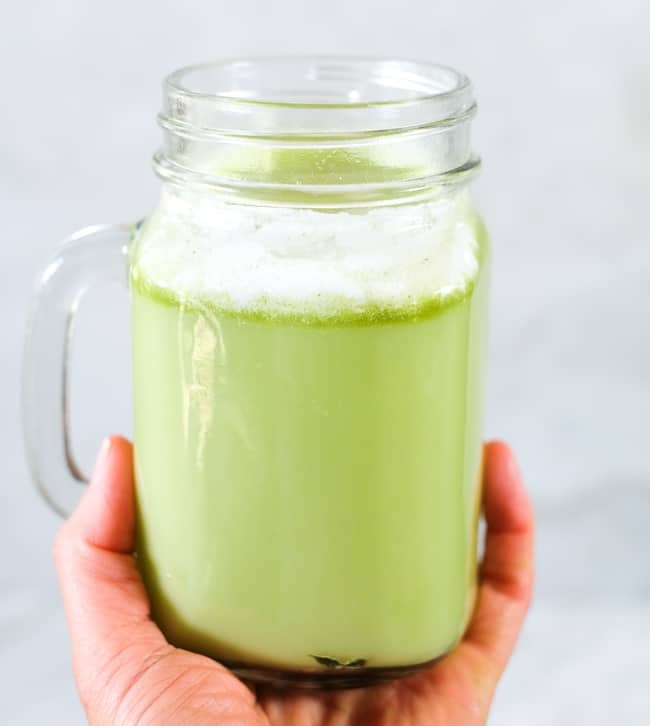 I definitely love a cup of joe in the morning, but have also come to recognize that coffee everyday doesn’t jive with my digestion and causes an upset stomach. So, I decided to break up with my usual morning routine and mix it up so that I can still enjoy coffee sometimes, but also have other cozy morning cups. 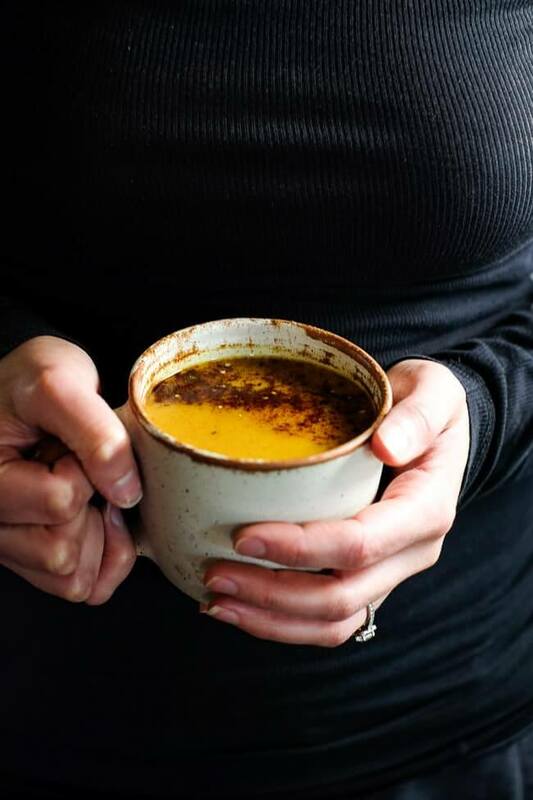 This Paleo, Whole30, Keto + Vegan golden milk latte is a creamy, cozy and satisfying caffeine free turmeric latte. Initially the thought of moving away from coffee everyday made me want to cry. Like curl up in a ball and rock and cry because how could life really ever be any good without coffee?? Ok, dramatic much? I know. But really, it was daunting to think of giving up coffee in the morning. I realized though, that what I actually love about my morning ritual is just having a warm, cozy cup of SOMETHING in my hand. 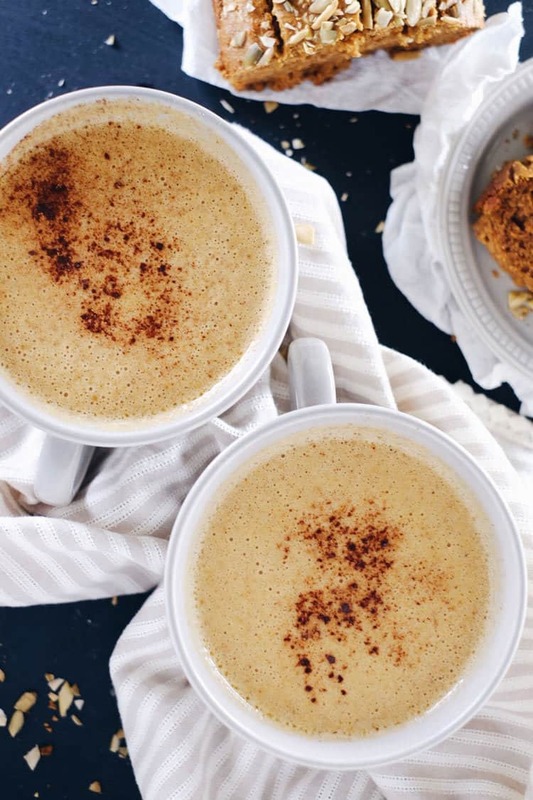 Coffee is great, but there are lots of ways to have a satisfying mug in the morning, and this golden milk latte is a pretty good one! 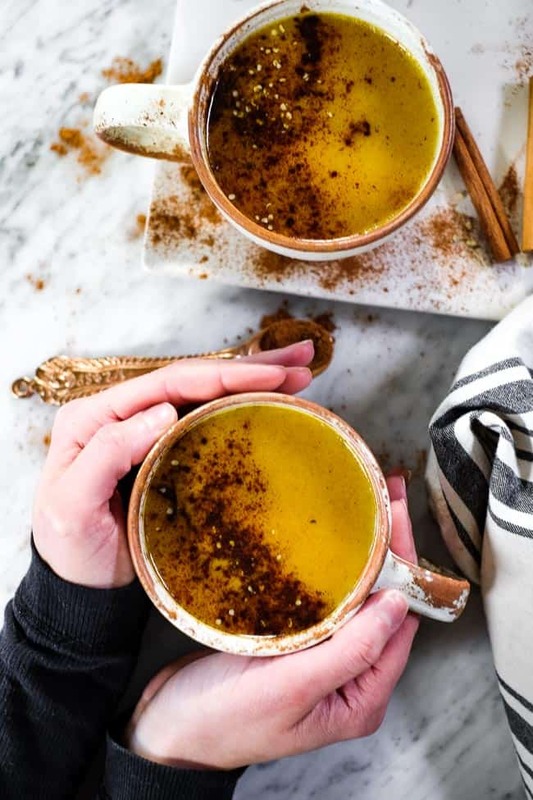 This golden milk latte is made with ground turmeric and has some black pepper added in to help make the turmeric more bioavailable, or easy for your body to absorb and use. And you want your body to absorb and use the turmeric. Turmeric is known for its powerful anti-inflammatory properties and has been used for a long time in cooking and medicine in India. 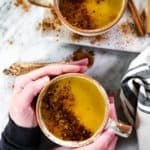 This PBS post goes into much about the history and benefits of turmeric. 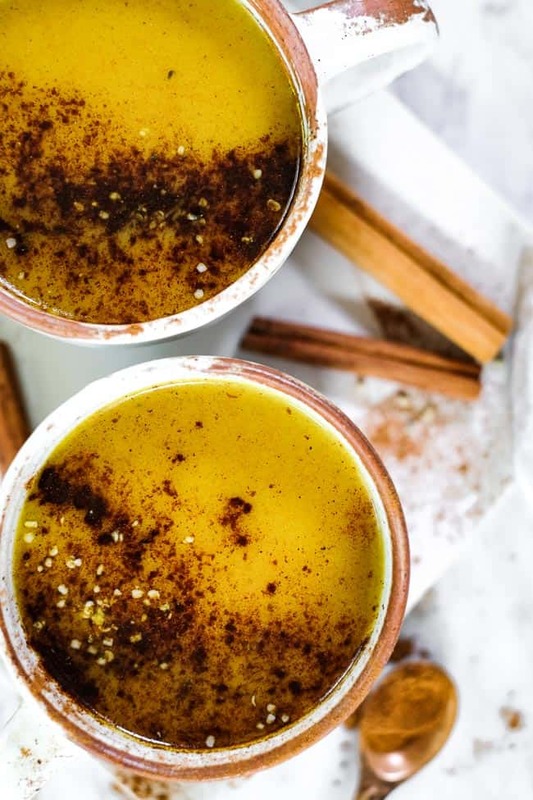 I’m sure that by now you’ve heard that turmeric is good for you, and it is great to introduce it into your everyday cooking. 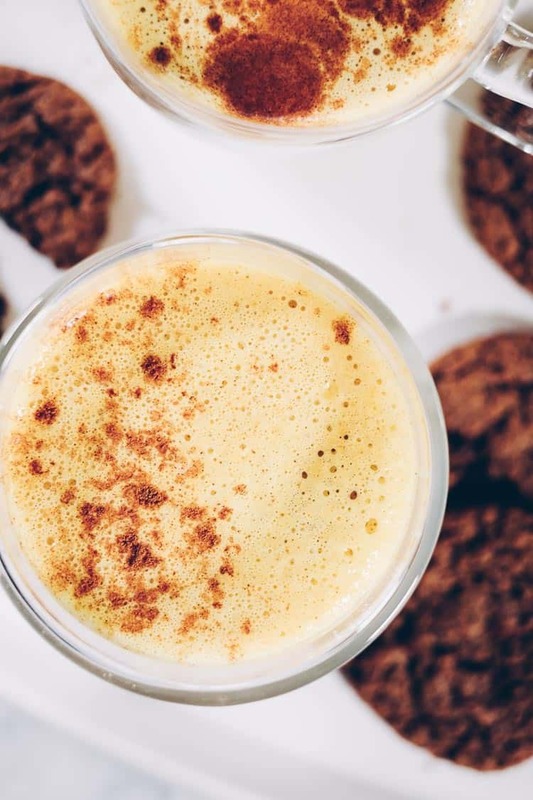 This golden milk latte is a tasty way to promote health and wellness! If you scroll down and look at the recipe, you’ll notice I added a bunch of spices. 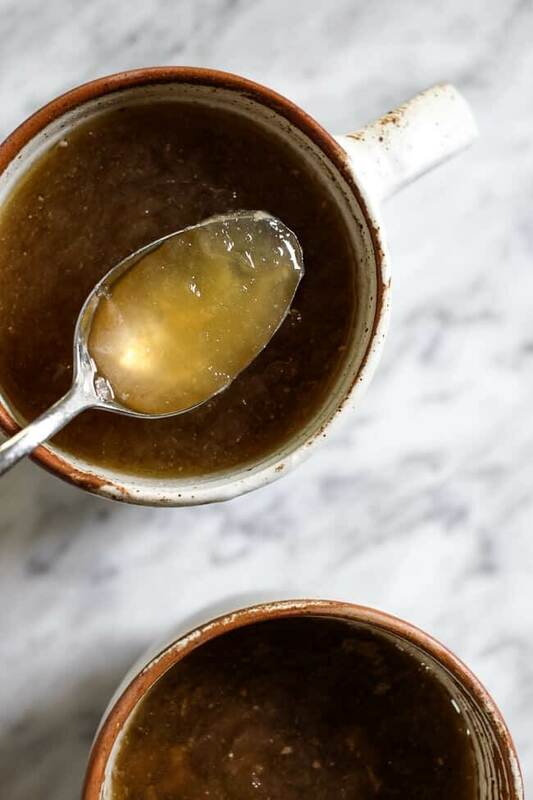 You might be down with that, or you might be like what the heck is cardamom. Here’s the thing – you can totally play with the spices and try what you have on hand. I experimented a bit and this is the combo that I ended up liking most. But hey – you do you and figure out what YOU like best! 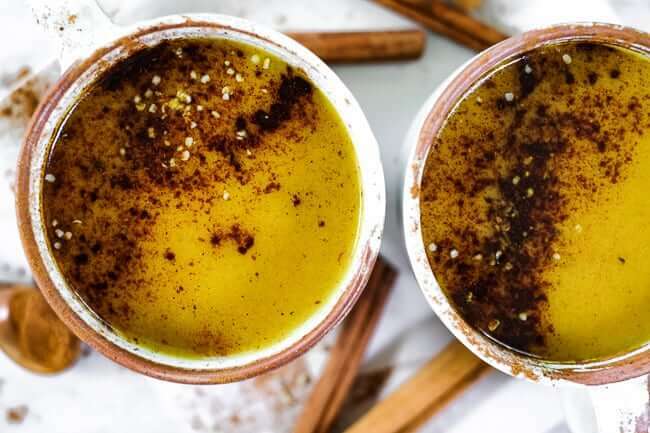 Maybe start with this and tweak from there – some days I add more cinnamon, and other days I want a little more spice so I add more cloves. 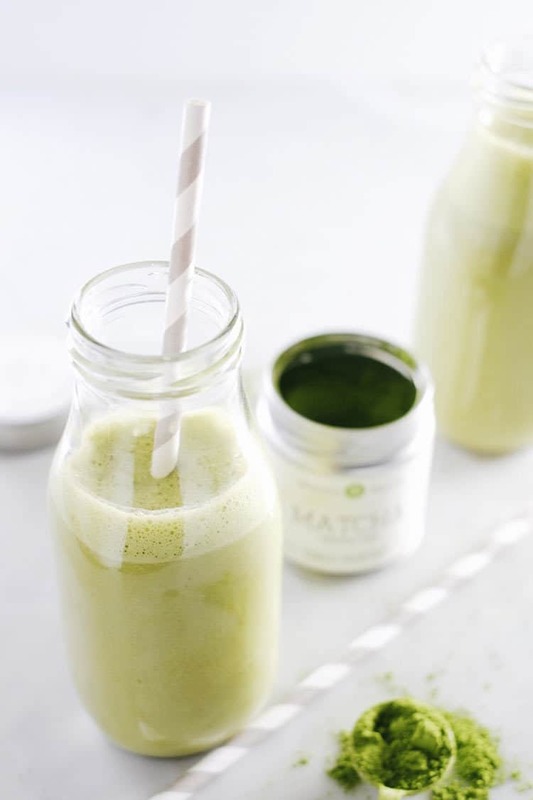 It’s fun to try different combos and come up with cozy concoctions. 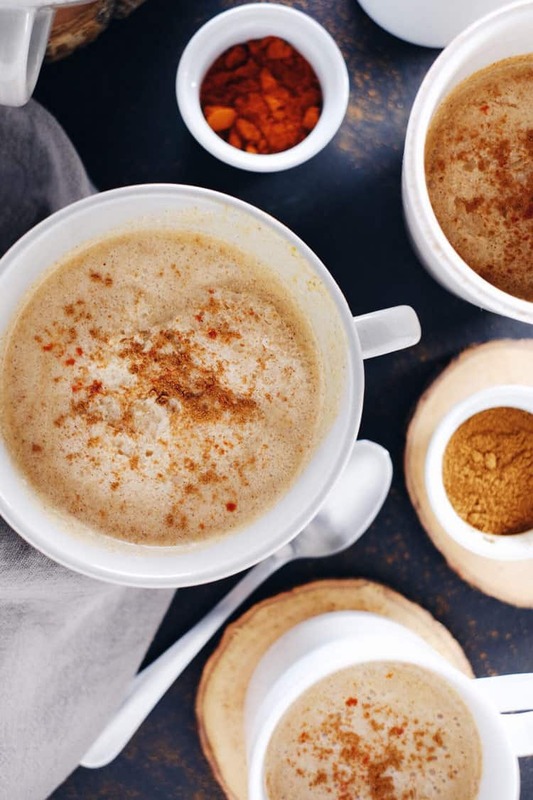 Mix up your morning routine with the golden milk latte! Leave a comment and let us know how it goes and what spices you like best. Also, take a pic to share on Instagram! 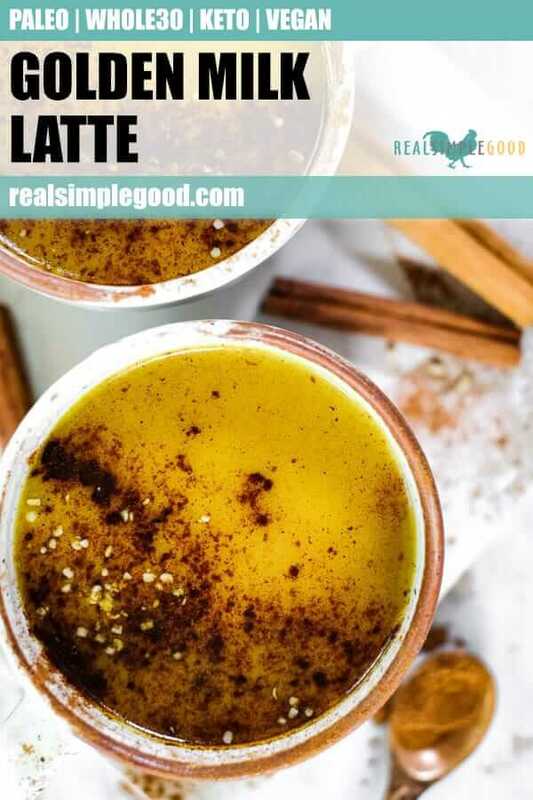 Tag us @realsimplegood, and give us a follow if you don’t already! We’d love to stay connected! 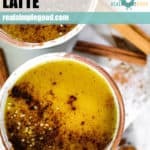 This Paleo, Whole30, Keto + Vegan golden milk latte is a creamy, cozy and satisfying caffeine free turmeric latte to make your morning feel complete! Place all of the ingredient in small saucepan over medium-low heat. Whisk to combine everything and then continue whisking occasionally until heated up. The top will get a little frothy when it’s heated through and the coconut butter will be fully melted. Pour in your favorite mug and enjoy!